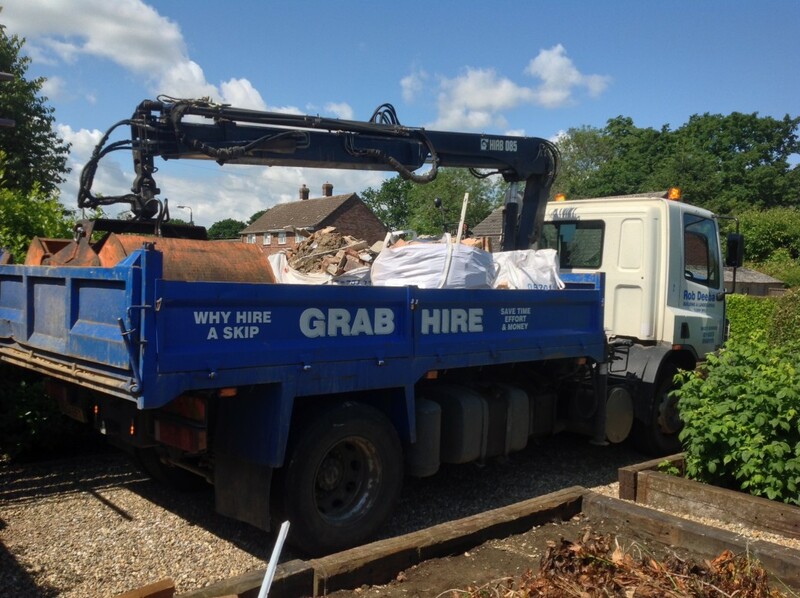 Skip bags Norwich and Norfolk, Why Hire a Skip? save time effort and money. Skip bags, a convenient and cost effective method of disposing of your waste. 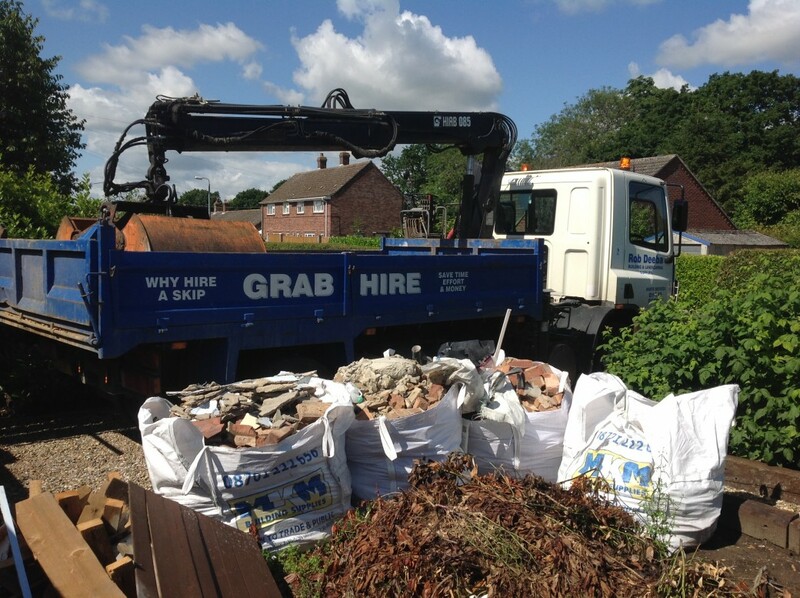 No need for expensive road side skip permits, barrowing and filling awkward skips, we can crane your skip bags from over hedges, walls and fences. How It Works. 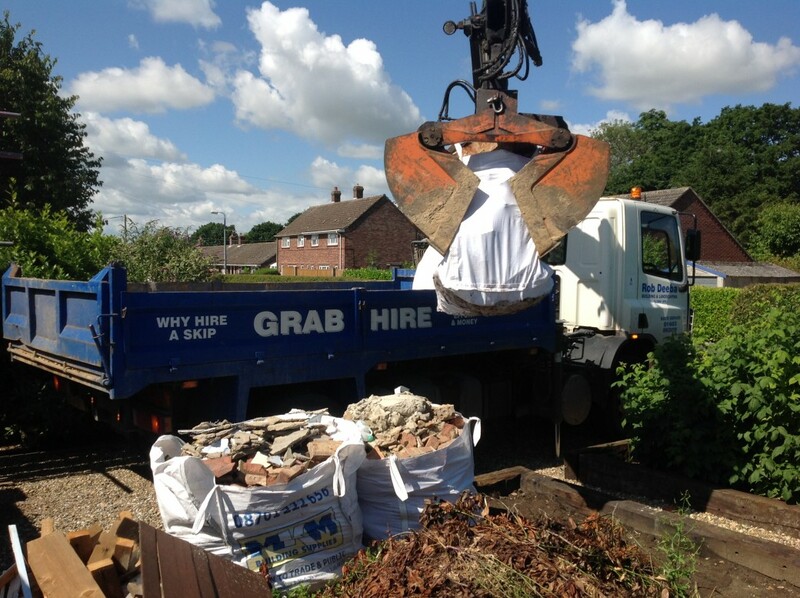 Just call or email us to arrange a skip bag delivery. Once you have your skip bag, it can then be stored easily until you are ready to fill it. As soon as it is full just contact us again for a prompt collection by one of our crane lorries. We supply two sizes of skip bags, MIDI Bag (L)90cm x (W)90cm x (H)90cm and MAXI Bag (L)180cm x (W)90cm x (H)70cm. MIDI Bag £70+vat each including delivery and collection. Bag only £10+vat. We also offer a 10% discount on any bags after the first bag, delivered and collected at the same time. We cover a 20 mile radius of Norwich City centre with our skip bag service.